If this will be your first time to care for a ferret, you need to know more about what your new pet will require to stay healthy and safe. Of the things that you need to be sure to provide to your pet is a proper diet. The right best ferret treats and food will not compromise your pet’s overall health. You can’t just offer your ferret anything that you find available at a pet store or in your kitchen. 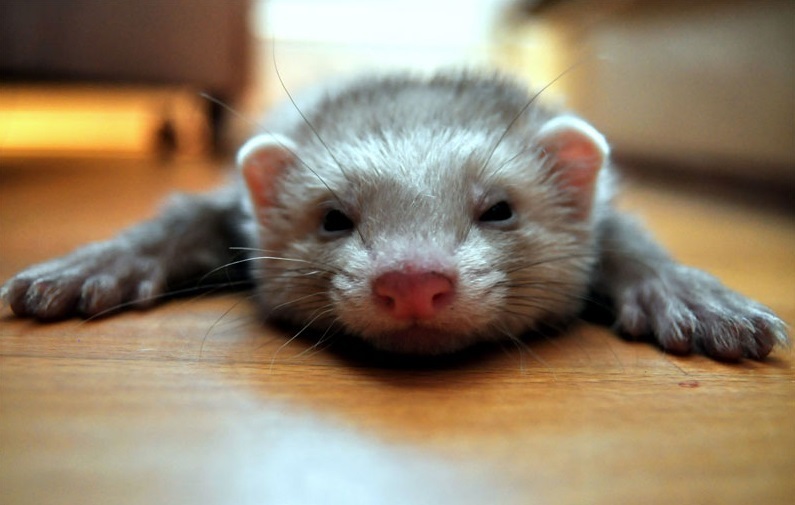 You will need to consider your ferret’s dietary needs before you can feed your pet anything. Your pet survives mostly on meat. That means you will need to provide high-quality meat to help your ferret sustain good health. That does not mean that you cannot feed your ferret anything other than animal meat. You will need to provide your ferret with high-quality protein food sources that can be mixed with fat and also low amounts of carbohydrates. If you will limit your pet’s food intake to protein, you will notice that its health is slowly deteriorating as this will create an imbalance in the nutrition that your pet’s body requires. Your pet’s intestine is designed to be short, which means that its stomach will require only a short time to digest the food it consumes. This also means that your pet will need to eat several times a day, about 8-10 small meals each day. And as a short intestine as that cannot store much for hours. That means you’ll be seeing your pet needs to use its litter pet several times a day also. It’s a natural behavior that you won’t need to worry about, though, unless there are unusual changes in the color, thickness, and the consistency in your pet’s poop. Like if the color of the poop turns blackish, or there is blood in its stool. These can indicate internal hemorrhage or massive bleeding in your pet’s stomach, or something else. To make sure that your pet will have normal stools and urine, you will need to provide your pet with the right foods and treats. The easiest meal you can offer your pet ferret are high-quality food pellets since they are a rich source of protein for your pet. But you need to make sure that the most nutritious ingredients, such as chicken or lamb, are indicated as the primary ingredients in the package label. Kitten foods will also provide a good amount of protein for your pet. Again, you will need to check the ingredients indicated in the product label to make sure that you will be offering high-quality kitten food to your ferret. You if prefer home cooked meals for your pet, you may offer cooked chicken meat with some pellets to your pet. Just avoid offering foods that have high complex carbohydrates like fruits and vegetables as your pet’s digestive system is not designed to digest complex carbohydrates. To make each meal interesting, create variety in your pet’s meal plan. Just make sure to introduce new foods slowly, especially for ferrets that are choosy when it comes to the foods for ferrets that it consumes. As mentioned at the beginning of this post, your pet will need to eat only a small amount every few hours. You will also need to make sure that there are no big chunks, sharp edges, or anything that can cut through your pet’s mouth. Just as the wrong food can do more harm than good to your pet, offering inappropriate treats will do the same thing to your ferret. Likewise over-feeding as well as underfeeding your pet will also affect your pet’s overall health. Considering these, you need to make sure that everything that you will offer your pet, whether a regular meal or a treat will meet its dietary requirement. You may want to offer treats to your pet to reward a good behavior it displays while training. Remember, however, that treats are not intended to replace a meal for your pet. In closing, always consider what nutrient the food that you are going to serve to your pet (whether it’s a treat or regular meal) so as not to compromise your ferret’s health.